Beware, there is a space cowboy on Wormhole road! The good news is that he is not hostile, on the contrary, he is very friendly and peaceful. His name is Chad Stayrook and he’s from New York. Chad is an installation artist and a science fiction fan. In his art, he mostly deals with cosmic topics using drawings, videos, and installation. In addition to this, Chad co-directs the artist-run gallery, “Present Company”, in Brooklyn. That said, if you now have the desire to see the far side of the Moon and to talk about space topics with the artist, then you are welcome tomorrow, Saturday, August 18 from 17:00 to 20:00 to the Open Doors Day of the Copper Leg Residency, at the Rae schoolhouse on Wormhole road. From 17:00 – 20:00, guests can explore the residency space & its doings, including the work of our current artist in residence, Chad Stayrook. 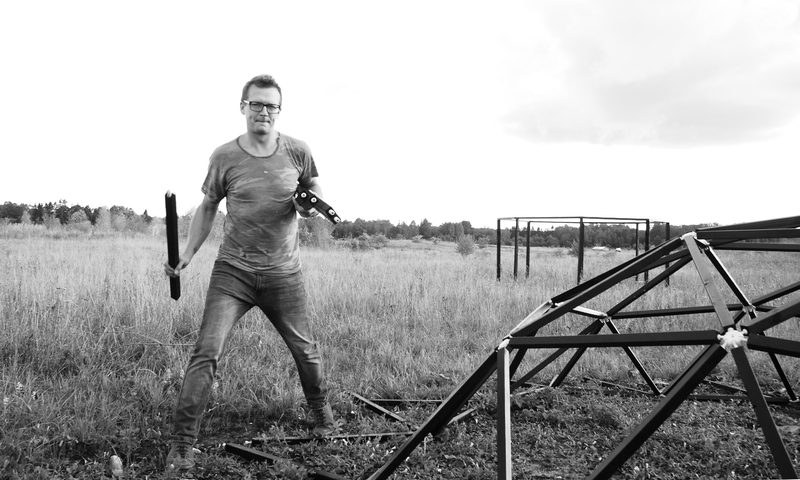 At 18:00, Chad will screen a series of short films and at 19:00 he will unveil his new installation built during his time in residence and installed in the Rae Schoolhouse courtyard. 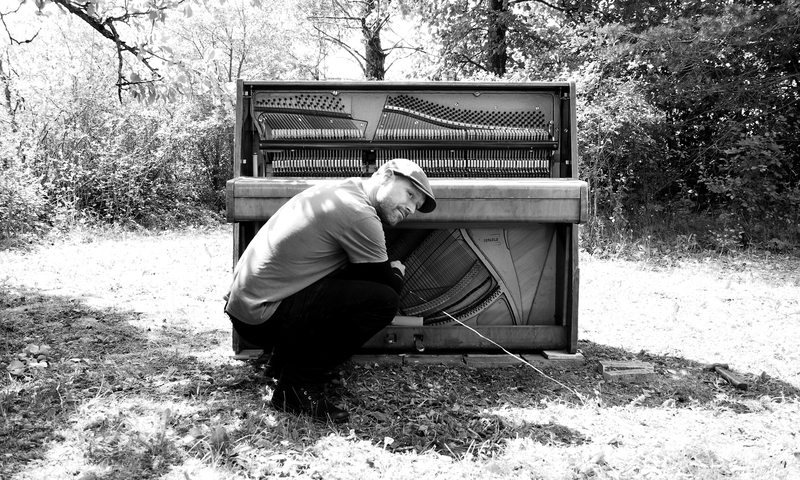 Chad Stayrook is an American installation artist living and working in New York. Also on view will be works of past Copper Leg Residency artists including: outside objects from the members of Art Container (Kilian Ochs, Tanel Saar, Janno Bergmann), Federica Cogliandro & Giulia Lanza, Shiskin – Hokusai, Simon Whetham. The keyword is “Moon landing”! It is said that each end is a new beginning. So, a new start will happen with the piano which was destined for disposal. It has been waiting for its moment in the Copper Leg Residency garage throughout the long winter. This hardworking but tired musical instrument will be brought into focus with the help of our new resident, sound artist Simon Whetham from Bristol, England. The focus of his work is to open and to make heard the sound potentials which are existing in the room or in the environment, through a performative presentation or through an installation activity. Simon has worked extensively in international cooperation with dancers, musicians, visual and video artists. In addition, he has published his musical compositions on various sound media and has previously participated in the Mooste Guest Studio (MoKS) program in Estonia. In general, his lifestyle is a progression from one residency to another and this has been going on for 7 years now. So, if you are getting tired of life around the football World Cup, it’s time to get some fresh air and come on Saturday 07.07 from 15:00 – 18:00 to the Open Doors Day of the Copper Leg Art Residency, where you can meet with Simon Whetham and his creations. If the weather allows enough sun and/or wind, then the piano can certainly be heard making sounds. In any case, the artist will finish the day with a sound experience. From 15:30 to 18:00, guests can explore residency space & its doings. 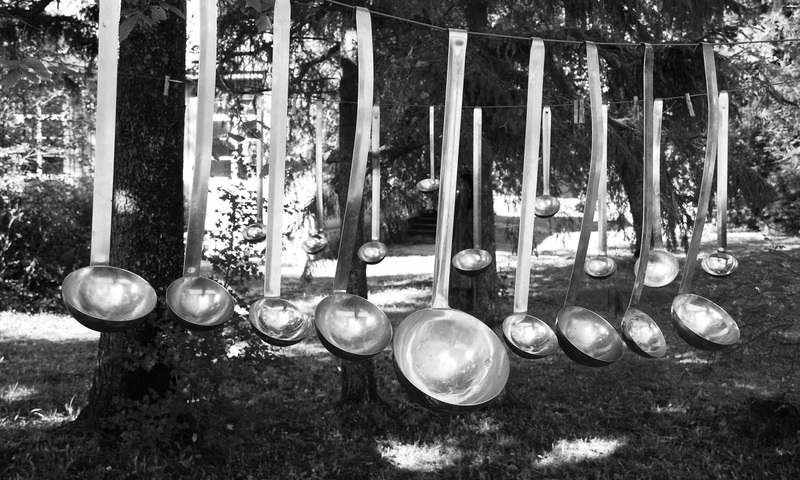 At 16:00 we will open a new installation at the Rae Schoolhouse courtyard, by author Simon Whetham, a sound artist in our residency from Bristol, England. In addition, you can see the works of other authors who have been in the Copper Leg Residency. Outside objects from the members of the Art Container (Kilian Ochs, Tanel Saar, Janno Bergmann), Federica Cogliandro & Giulia Lanza and Shiskin – Hokusai. Open Doors Day will conclude with Simon Whetham’s sound performance from 17:30 to 18:00 at Rae Schoolhouse. The keyword is “Jamie Oliver”! Not all roads lead to Rome! Yes, that’s right, some of them bring to Copper Leg as well. We are pleased to introduce two new artists in our residency! Federica Cogliandro & Giulia Lanza, two artists from Rome, Italy. They both have been studying at the Academy of Fine Arts in Rome and have become best friends a long time ago. Currently, Federica conducts her MA degree in the Department of Jewellery and Blacksmithing at the Estonian Academy of Arts. She is attracted to working with metal, its special features, molding complexity and material resistance. Giulia mainly deals with drawing and installation, and her favorite materials to experiment with are fabric and embroidery. Giulia had the first personal exhibition in EKA Gallery this January, which is an important milestone in the life of a young artist. Now, however, these two great Italian ladies have taken the initiative to unite their forces in Copper Leg Residency. In cooperation, a work of art will be born in the Rae Schoolhouse’s courtyard. It will be a game with texture, geometric and organic shapes, and the main material is a metal mesh. 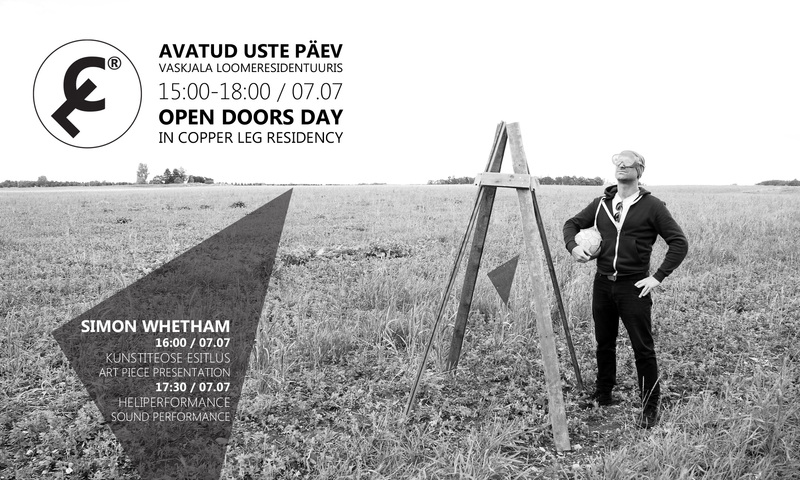 How all this comes out, you can see today on Copper Leg Residency Open Doors Day starting at 15:30. 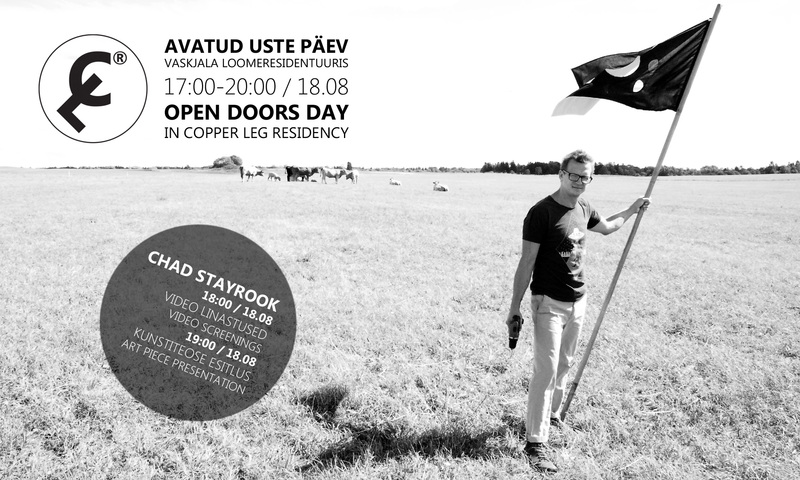 You are welcome to Visit Copper Leg Residency today, 09/06/2018, between 15:30 and 18:30. 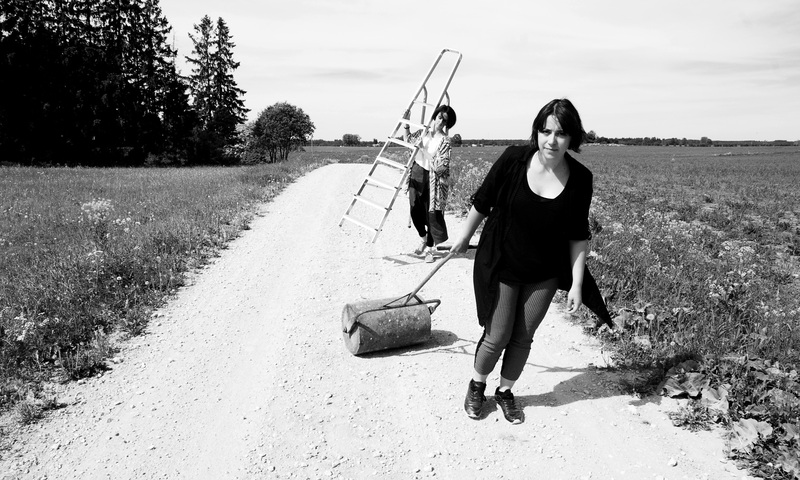 On Saturday, June 9th, at 15:30, the presentation of the work of Federica Cogliandro & Giulia Lanza will take place and later Open Doors Day in Copper Leg Art Residency will follow. From 15:30 to 18:30 the visitors can discover residency space & its doings. There are also two new residents, metal artist Federica Cogliandro and textile artist Giulia Lanza, from Rome, Italy. 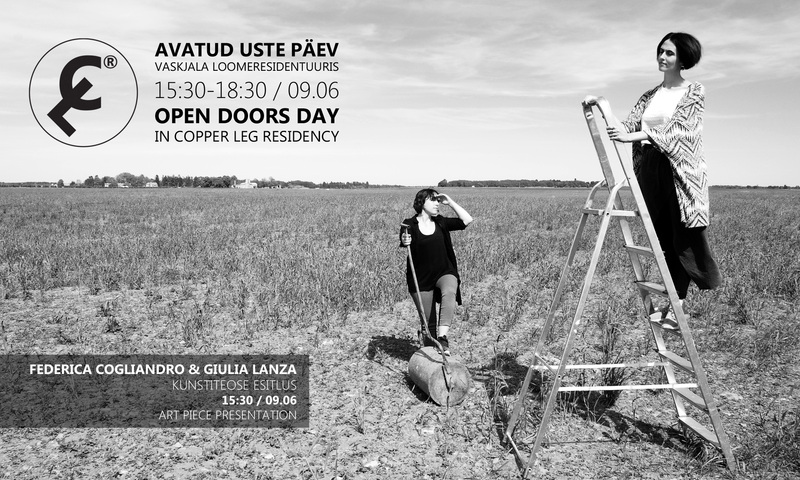 We invite you to the presentation of a joint art piece by Federica and Giulia, come to meet artists, and take a part of Open Doors Day in Copper Leg Art Residency. You are welcome to Rae Schoolhouse on Wormhole road, Copper Leg village, Rae parish (Ussiaugu tee, Vaskjala küla, Rae vald).